The Yummy Traveler: Yummy Traveler's 2nd Anniversary ! Yummy Traveler's 2nd Anniversary ! It's near Thanksgiving week too! So I think it's a perfect time for me saying big big thanks for all of you dear readers and friends for all your supports ! Looking back 2 years ago, I even didn't expect how this blog could grow like today. I didn't say that I have the best blog in town, but I surely embrace every moment of it and the process of 'growing up'. There's sooooo many changes that I do since I've started this blog, but hey, stay with me. I am changing and I will keep changing ( in a good way ). I don't like living in boxes. So let's move to the interesting part. Y U M M Y G I V E A W A Y ! 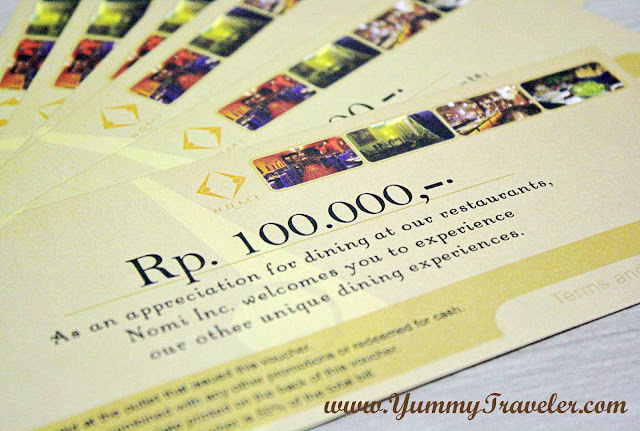 I'm giving away IDR 200.000 voucher for each 3 lucky winners. Don't worry, it's veryyy easy! 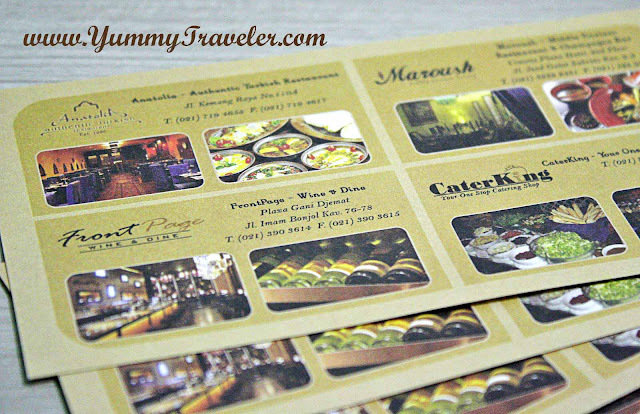 - Tweet anything about www.YummyTraveler.com ( in example : Kalau bingung cari restoran enak dimana, just check out www.YummyTraveler.com ) you can tweet as much as you can and don't forget to mention me ok! - Post on my comment box your Name, Email, Twitter Name. So I know who you are. Happy Birthday the yummy traveler! ikutan aah kuisnya hihi.. I am soooo interested with your YUMMY GIVEAWAY! hello, I'm Abebee from IG. happy to see you here. why don't we keep in touch here also?? @ Selba : Thanks for the greetings dear! @all : Thanks for joining! @Abebee-san : Nice to meet u here!